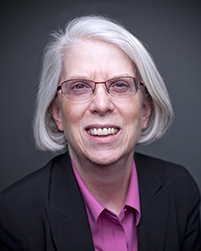 Barbara Broman is director of cross-cutting strategic initiatives in AIR’s Health and Social Development program. Her responsibilities include identifying and accessing opportunities with federal agencies, states, and foundations; collaborating with other AIR program areas and outside organizations; guiding teams working in and across systems on the conceptualization of ideas and methods; and advancing ideas and strategies for building research and evaluation capacity. Broman guides specific practice area teams, including homelessness, child welfare, behavioral health, justice, and new models for care and opportunities under the Affordable Care Act, in decisions about pursing specific funding opportunities and conceptualization of creative and research-based ideas. Prior to joining AIR, Broman worked for over 30 years at the Department of Health and Human Services in a number of capacities within the Office of the Assistant Secretary for Planning and Evaluation (ASPE) and the Office of Inspector General. From 1992 to 2014 she was the associate deputy assistant secretary for human services policy in ASPE where she managed a multidisciplinary staff focusing on policy development, analysis, and research in key health and human services issues including poverty, welfare, low-income children and families, at-risk youth (e.g., teen pregnancy, STD, substance abuse), youth development, early childhood education and development (e.g., Head Start), immigration, and homelessness. She staffed the Secretary’s participation in the Interagency Council on Homelessness and managed the Teen Pregnancy Prevention Review of Evidence-Based Programs. She was appointed to the Senior Executive Service in 1992 and received the Presidential Rank Award for Meritorious Executive in 2005.